Nikon Metrology announces CMM-Manager 3.5 for Nikon’s iNexiv vision measuring equipment. With a powerful and user-friendly interface, CMM-Manager 3.5 integrates vision measuring, autofocus laser scanning, rotary indexing, and touch probing to provide a true 3D multi-sensor system for inspecting physical products based on 3D CAD models. 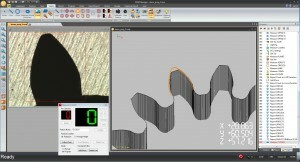 The latest CMM-Manager software imports a broad range of 3D CAD models and users can pick features to create automatic probe paths for both vision and tactile measuring. Regardless of part complexity or geometry, parts are automatically aligned for the most efficient inspection and measuring. Simulations can be run and inspection results can be verified in real time. 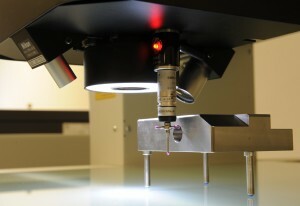 “The combination of vision, autofocus laser, rotary indexer, and tactile input allows to even measure features and geometry you can’t see,” Frost says. Measurement can be expressed as 3D reports in the forms of charts and models as opposed to long tables of X-Y data. This makes reporting and decision making much faster and easier. CMM-Manager 3.5 is not only available for iNexiv equipment, it can be retrofitted onto existing CMMs and articulated arms from Nikon Metrology and other technology providers.